High Court judge Justice Erica Ndewere on Wednesday ruled the former energy minister was a suitable candidate for bail and as part of his provisional freedom's conditions, the court ordered him to continue residing at his Harare Glen Lorne house, report once every week at his nearest police station and to surrender title deeds of his house. 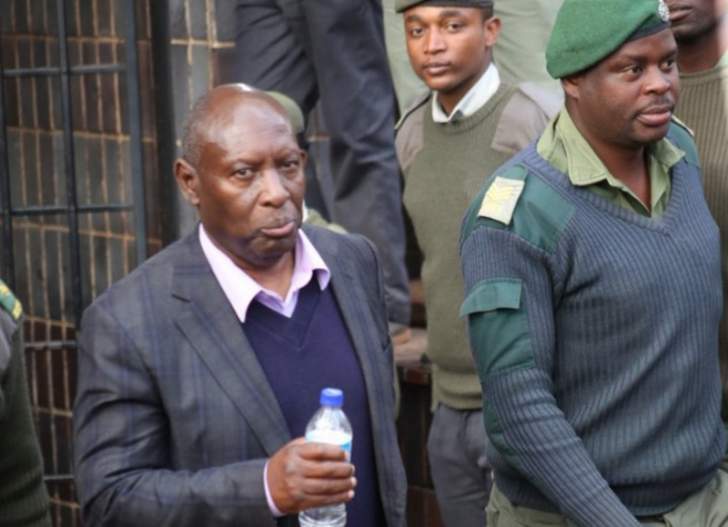 Undenge, who is being represented by Aleck Muchadehama, was last month convicted by a Harare regional magistrate on charges of criminal abuse of office after prejudicing the Zimbabwe Power Company (ZPC) of the sum of $12 000. In his bail pending appeal application, however, Undenge said Zanu PF MP, Psychology Maziwisa and broadcaster; Oscar Pambuka used him in their plot to defraud the power utility. Undenge further said Harare regional magistrate Hosea Mujaya had misdirected himself when he convicted him of the offence "for merely signing a letter which was dictated to him by Pambuka and Maziwisa" on behalf of the duo's company, Fruitful Communications. Undenge further said the magistrate also erred in ignoring that the said letter, which formed the basis of his conviction, was motivated by Pambuka, Maziwisa and Fruitful Communications with an intention to defraud the power company. It was the State's case that sometime in January 2016, Maziwisa and Pambuka took Undenge's signed letter to ZPC, directing the power utility company to work with Fruitful Communications at intervals of six months per engagement. It was the State's further contention that on March 8, 2016, Maziwisa and Pambuka, with the same intention of defrauding ZPC, presented to one Chisveto, an invoice claiming they had hosted various programmes on Zimbabwe Broadcasting Corporation, National FM and Power FM. Following Undenge's letter, the power company engaged Pambuka and Maziwisa following which it then lost $12 000.